United Cerebral Palsy’s Annual 100% Benefit show, Blank Canvas. Opening reception November 7th 6-9pm! All work sold at the opening will be available to take home at the end of the night. UCPLA WRG is an Art Gallery/Studio Art Program which functions within an Adult Day Program for the Cerebral Palsy community. Our program is located in the Culver City Arts District. Our program as a whole is part of United Cerebral Palsy of Los Angeles a Non Profit which supports the philosophy, ‘a life with no limits’. Our Art Program and Gallery supports professional artist development and mentorship in the areas of digital media, studio practice, gallery operations and curatorial studies. Our Art/Gallery Program missions goal is to follow the guidance and needs of our artists-the philosophy is ‘it’s their program’ and our lead staff is here to honor, listen and observe. Each year we have a Benefit show, ‘Blank Canvas’. 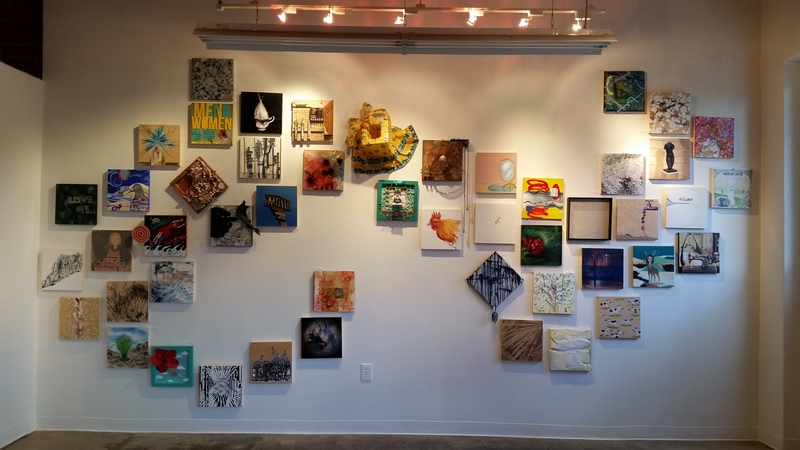 Blank Canvas serves to raise funds for our Gallery/Art program as well as grow our network and build our relationships with our surrounding artists and their communities. This year under the concept guidance of Devon Tsuno’s ‘Concrete Walls’ Washington Reid Gallery will be inviting Guest Curators to Curate our Gallery Walls. Our guest Curators will have full creative license to invite and select their own artists of their choosing to curate their ‘dream wall’. This is a 100% benefit show. All proceeds will go right into our program. UCPLA Washington Reid Gallery(WRG) is a non profit art center located in Culver City providing art programs, physical therapy, innovative technology and exhibition opportunity for persons with cerebral palsy. Concrete Walls (CW) founded in 2003 is an artist-run-curatorial project that focuses on building community by facilitating collaborations, educational projects, and group exhibitions throughout Southern California.